The U.S. Open is one of the major events of the 2016 Triple Crown Tour, with bid priority going to teams that finished 1st-8th at the prior National Championships, as well as to international teams. In addition to the competition, an annual national organizer's convention is also hosted at the event with registration open to anyone interested in attending. Girls ages 8 to 14 are encouraged to attend the free GUM clinic on Saturday, July 2 from 9:00-11:00 am! Register here. Boys and girls ages 8 to 14 are invited to attend the free Learn to Play clinic on Friday, July 1 from 11:00 am-1:00 pm! Register here. 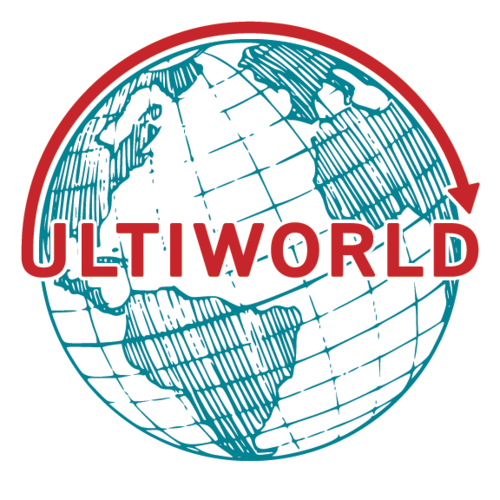 USA Ultimate has partnered with GoPlay to provide spectator travel packages to the U.S. Open Championships. Click the link provided below for ordering and details. Medical & Inclement Weather Plans - Please review. University of Rhode Island events should be an enjoyable experience for all guests. To promote athletic excellence and fan enjoyment, we ask for your assistance in displaying a high degree of sportsmanship at all times. *The University of Rhode Island reserves the right to prohibit any item deemed hazardous or disruptive to the athletics event or the enjoyment of the event by other guests. All guests are subject to inspection and search for prohibited items. Event staff may examine the contents of bags, jackets, pockets, or any other personal item before admitting guests to the facility. In order to expedite entrance into the facility, it is recommended that guests not bring bags to events and arrive early at the facility gates. 1. Animals are not permitted in or around athletics facilities grounds, with the exception of trained service animals for our guests with disabilities. 2. Alcoholic beverages or containers of any kind are not permitted to enter athletics facilities. Persons identified with alcohol will be asked to leave the premises. Intoxicated guests will be subject to removal from the facility. 3. Banners, signs, and flags which are placed or affixed to the ground, fences, buildings or other permanent structures are prohibited. The University or event committee reserves the right to remove any banner, sign, or flag that is in violation of the policy. 4. Items made of glass, such as bottles, flasks, vases and mirrors or other such glass material are not allowed on the grounds or fields. 5. Artificial noisemakers are prohibited unless permission has been explicitly granted through the University or event committee. 6. Do not litter: all trash must be disposed in designated trash and recycling receptacles. 7. No weapons of any kind are allowed on the grounds. 8. Charcoal or propane grills are prohibited on University grounds with the exception of permitted concession vendors. Open flames other than grills are prohibited. 9. Solicitation and distribution of non-approved items is prohibited in or around University Grounds and athletics facilities. This includes newspapers, items for sale, campaign and political items, etc. 10. No unauthorized entry on fields or facilities off-limits to the event areas. Violators will be asked to leave premises. 11. No climbing on or jumping over fences. 13. No sharp objects such as javelins, flags, or razors shall be allowed on the fields. 14. Unauthorized vehicles shall not be allowed on the fields at any time. Violators may be fined. 15. Vehicles shall be parked in designated parking lots or areas, and shall not be parked on grass or lawns at any time. Violators will be towed and may be fined. 16. Drones, and other radio controlled aircraft are prohibited over event areas unless specific permission has been granted by the University or event committee. Violators may be subject to fine and confiscation of their equipment.